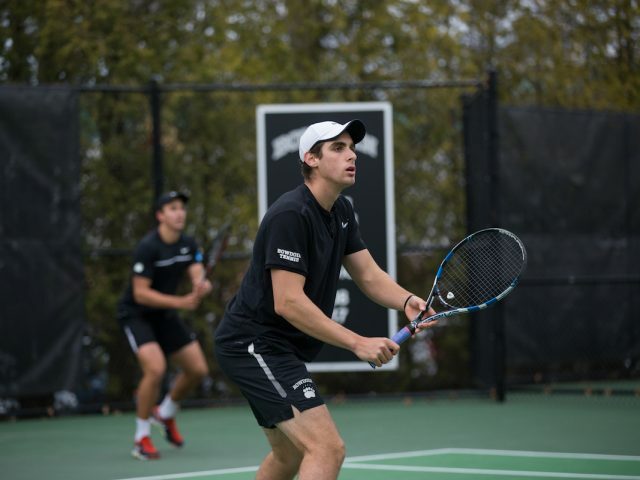 After returning to New England from spring training in California with new players and skills, the fifth-ranked men’s tennis team (8-1, 2-0 NESCAC) defeated the seventh-ranked Wesleyan Cardinals (9-2, 2-1 NESCAC) 6-3 last weekend. In California, the Polar Bears were able to compete against strong teams while solidifying their dynamics and individual roles, ultimately finishing with a 7-1 record and their first NESCAC win of the year against Trinity. 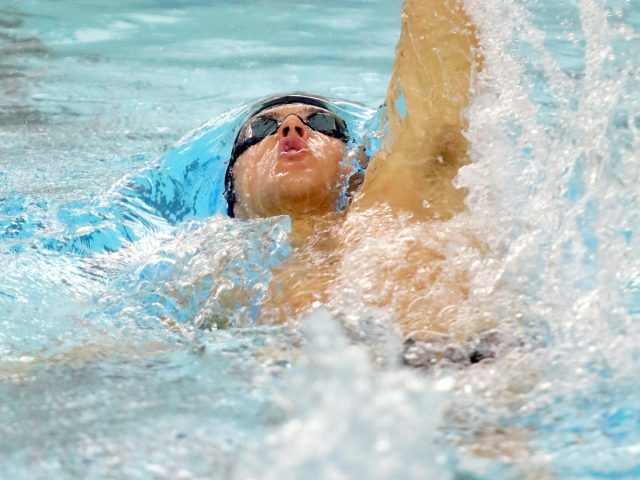 The men’s swimming and diving team placed fourth last weekend at the NESCAC Championship meet. 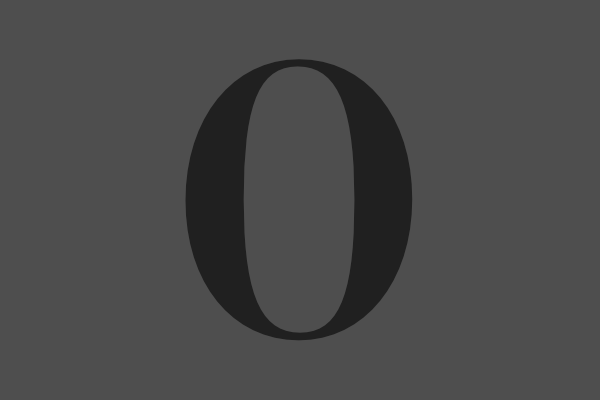 Scoring a total 1,019.5 points, the team exceeded 1,000 points for the first time in more than 40 years. 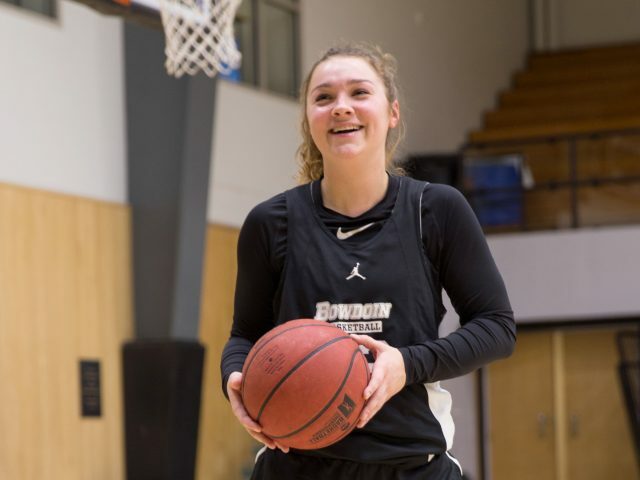 Despite the team’s record-setting effort, Bowdoin was outpaced by rapidly-improving league competition. 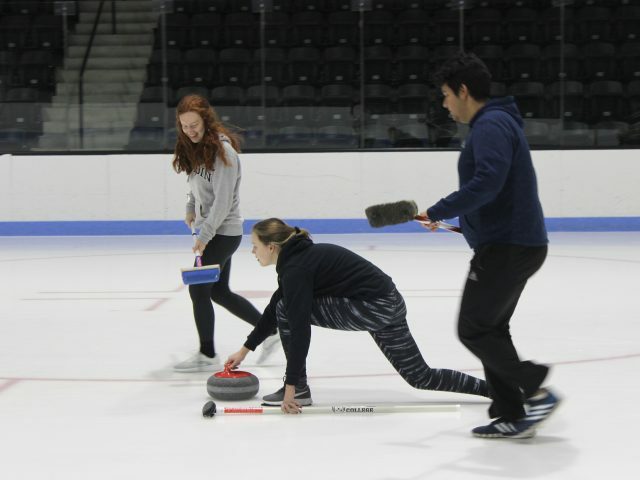 The curling team ended its regular season in Utica last weekend, finishing third out of 24 competitors. 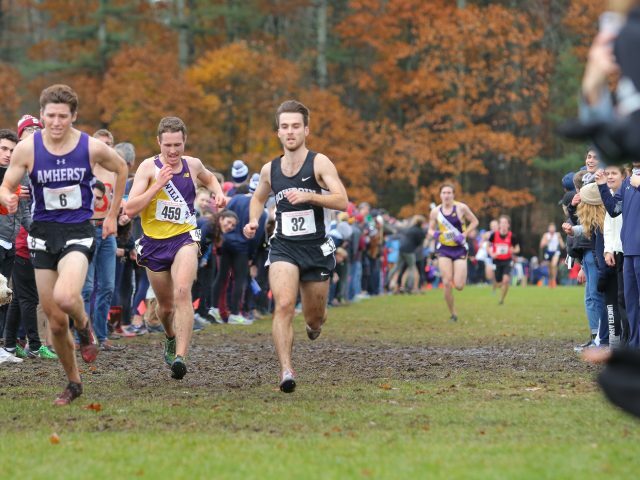 Now, the top five members will continue to the national competition in Wayland, Massachusetts over spring break, where the team is seeded seventh. 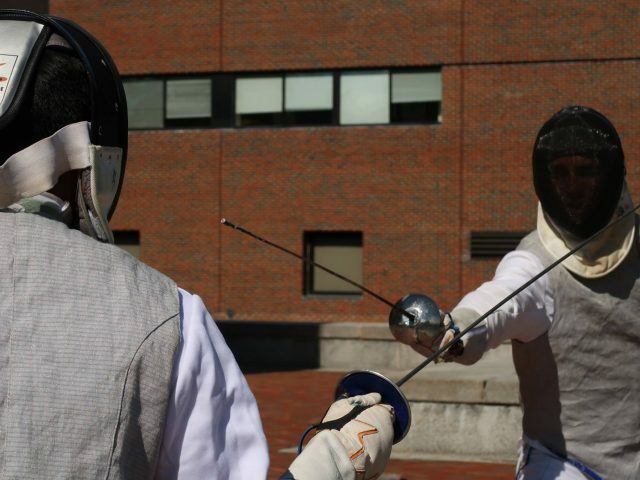 In Rhode Island last weekend, three fencers competed in the fencing club’s first tournament of the year. Casey Edmonds-Estes ’22 finished in the top eight, beating two experienced fencers and earning a rank E. In fencing, each competitor begins their career labelled U, meaning they are an unranked fencer. 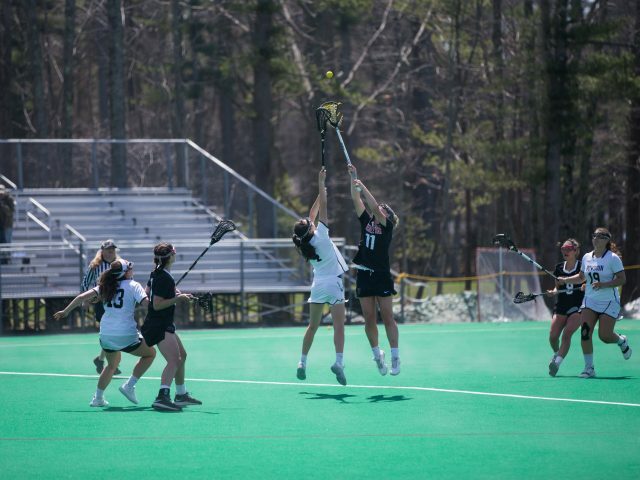 After beating Wesleyan (10-6, NESCAC 6-4) in a close 11-10 game at home on Saturday, the women’s lacrosse team (12-4, NESCAC 6-4) advanced to the semifinals for the first time since 2015. The Polar Bears will battle No. 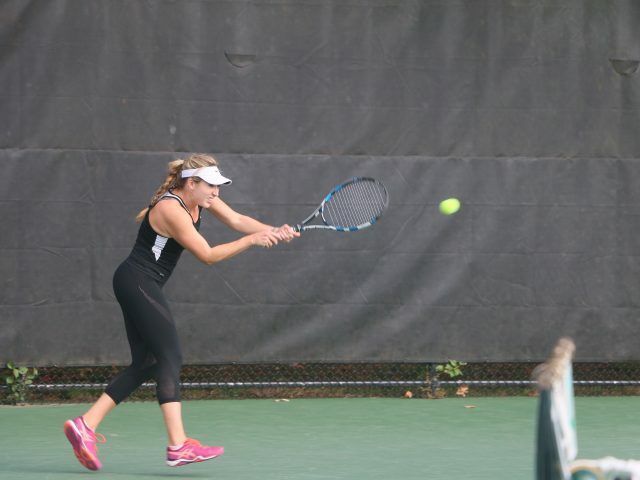 The women’s tennis team (7-5-2) kicked off NESCAC play with a 8-1 win against Connecticut College on Saturday, and a 7-2 win against Babson College on the same day. 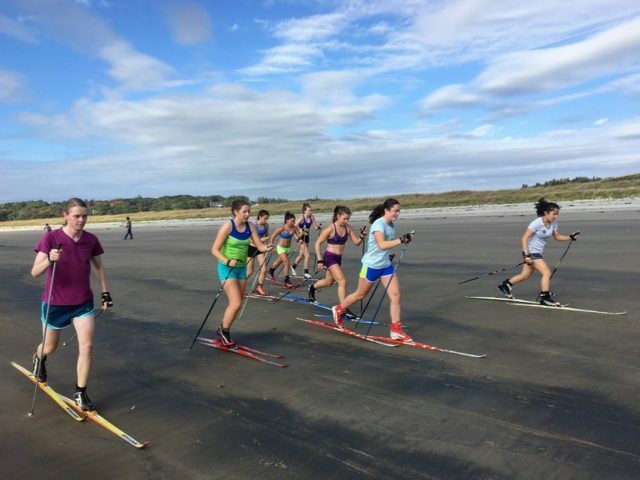 According to Tasha Christ ’20, the team was pleased with its performance this weekend. 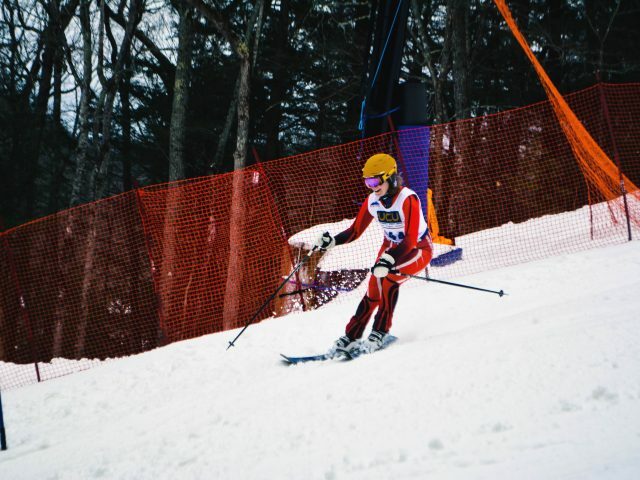 The alpine ski team is moving on to compete at the Eastern Regional Championships this weekend after the women’s team won and the men’s team came in second in the Reynolds Division, which is made up of Bowdoin, University of Maine at Farmington, University of Maine, Colby and Bates. Men’s hockey (7-11-0, NESCAC 4-8-0) had a successful weekend, coming away with two conference wins over Williams (10-6-0, NESCAC 6-4-0) and Middlebury (4-12-0, NESCAC 2-8-0). 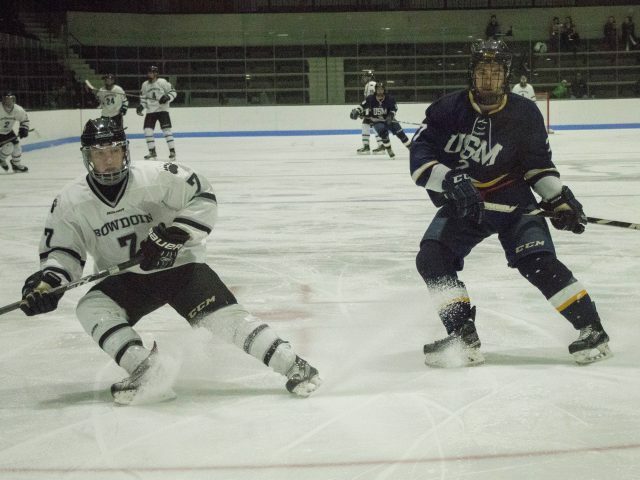 The Polar Bears followed this with a 2-0 home victory against the University of Southern Maine on Tuesday. 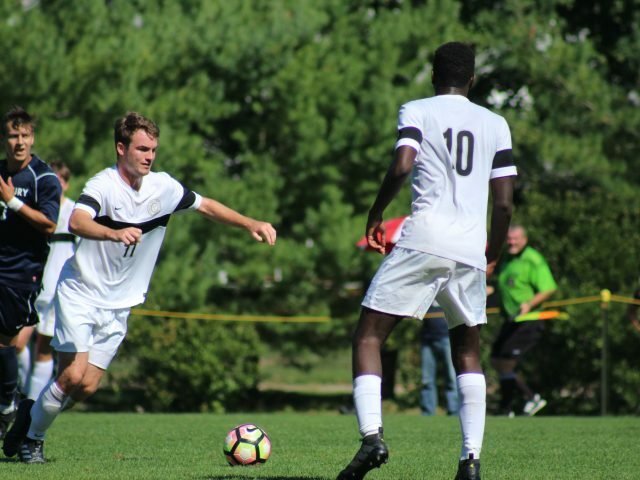 On Monday, the Bowdoin men’s soccer team (10-4-3, NESCAC 6-2-2) received the news that it was one of five NESCAC schools to earn an at-large bid to advance to the NCAA DIII tournament. After a 1-0 defeat by Middlebury in double overtime at the NESCAC semifinals, men’s soccer is looking forward to redemption at the tournament, as they go into their first game against Rutgers-Newark (20-2) this Saturday. 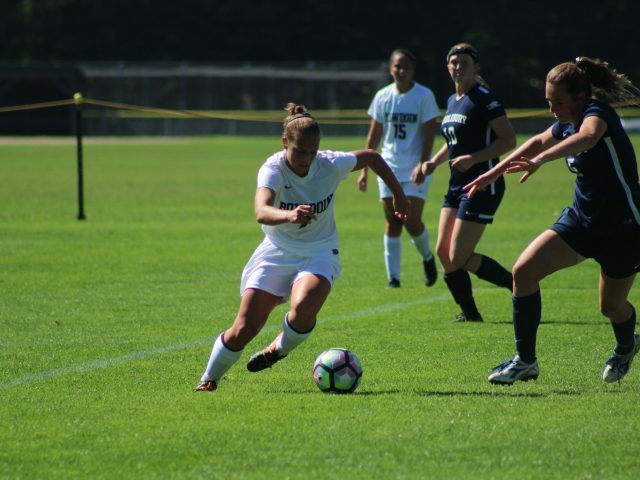 This past weekend, the Bowdoin women’s soccer team (4-2-1, NESCAC 1-2-1) had a big win against Middlebury (4-2-1, NESCAC 1-2-1) who knocked Bowdoin out of the NESCAC Championship last year. Despite several challenges, the Polar Bears’ hard work and dedication led them to victory on Saturday.